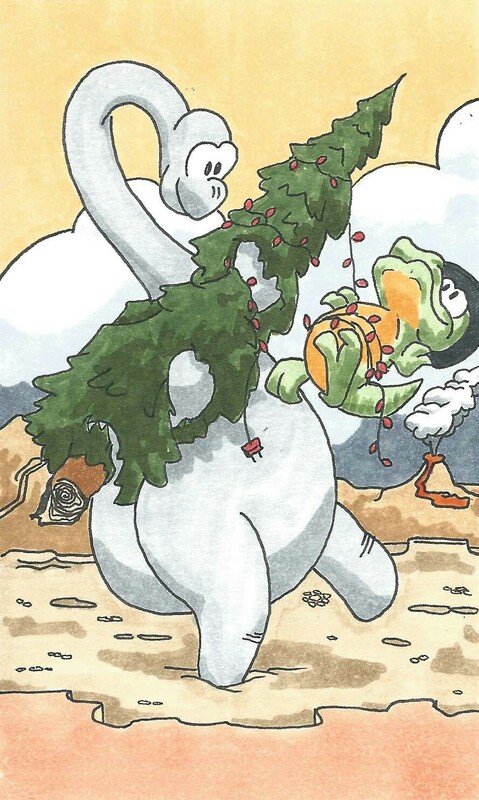 Fact: dinosaurs prefer live Christmas trees. of wildly woven ‘lectric lights. we plugged them in, but no!